Having taken place in various different parts of the city over the last few years, Open Streets Main Road is taking place for a second time on Sunday, 25 February 2018, now expanding further into Observatory, Woodstock, Salt River and District Six. Something different in 2018 is the introduction of a water-saving theme, in light of the ongoing Western Cape drought. One of the highlights of this year’s event is ‘Hack the Water Crisis’, an open panel hosted by the Cape Town Science Centre. Open Streets wants to encourage people to rethink the way they use water, and the aim is to create creating solidarity through the trying times of the water crisis. Through this free initiative, more awareness and solutions will be brought forward in a fun and enjoyable way, with a number of talks and activities being exhibited to emphasize this. A five kilometer stretch of road spanning Observatory to the city centre will become a car-free pedestrian playground between 9am and 2pm. Organised by the local community to experience the street as a public space, the zone will be a hub of free activities, food stalls, street art, and entertainment to discover, held in various locales including Observatory, Main road, Sir Lowry Road and Victoria Road. Anyone and everyone is welcome to come along and walk, cycle, rollerblade or skate around the roads in one of the Mother City’s diverse and culturally-rich areas. Immerse yourself in the vibrant energy of the gathering and see the street as a place of art, culture and abundant talent. The aim of Open Streets is to create a platform for community bonding, collaborating and creative expression, while encouraging social interaction and sharing between people – and you can even get involved and become a creator, performer or collaborator. 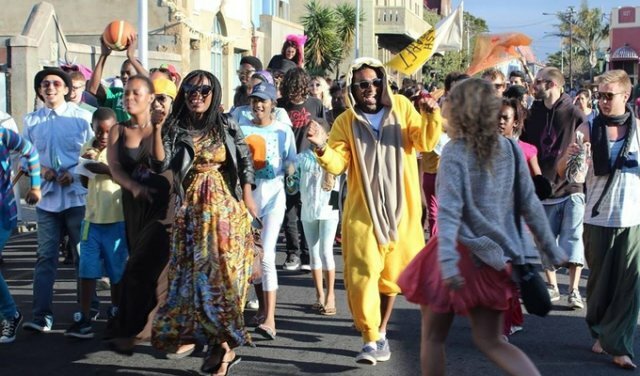 Come along on the day to be part of creating another successful Open Streets in Cape Town. For more details, you can refer to the Open Streets website. It’s easy to get to Main Road in Observatory in a more environmentally-friendly way than driving yourself – simply travel smart and take one of the many public transport options available in Cape Town. Hop on a minibus taxi, take a train to the Observatory Station and walk from there (we recommend you do this with friends), carpool, use a bicycle, or walk – it’s quite easy. We know what a nightmare traffic can be, so let’s begin to explore alternative travel options and find a solution to the congestion. Circus demonstrations such as juggling and acrobatics by Zip Zap Circus School. Take part in the public meetings and planning sessions and invite your friends to do the same! Come along on the day and bring your family and friends. Please note that there will be no parking along the Open Streets route but there will be full access to Groote Schuur Hospital. 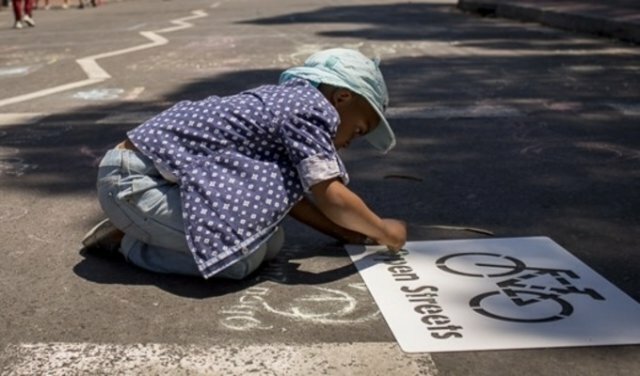 Open Streets Cape Town is inspired by an initiative started in Bogotá, Colombia, where it is known as “Ciclovía” and practised every Sunday and public holiday by the public on 120 kilometres of car-free streets. 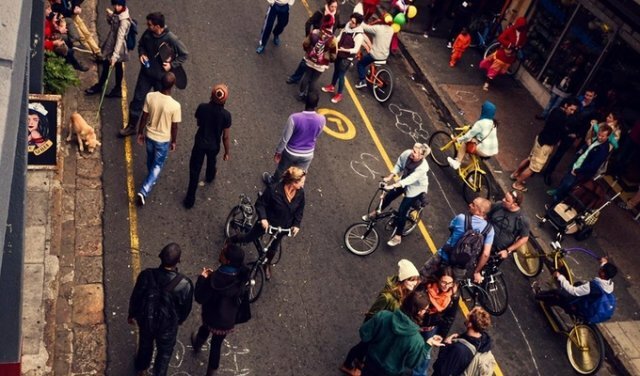 The local non-profit organisation has partnered with Transport for Cape Town, and is currently looking to develop a model that will facilitate a long-term Open Streets programme across the city. Admission to Open Streets Main Road is free. It will be going from 9am to 2pm and all are welcome, including kids. For more information, please do not hesitate to contact Open Streets Cape Town at +27 (0)21 286 0823, or email info@openstreets.co.za.